Android 8.0 Oreo added the ability to snooze specific notifications, so they re-appear after a set amount of time (15 minutes, 30 minutes, or an hour). 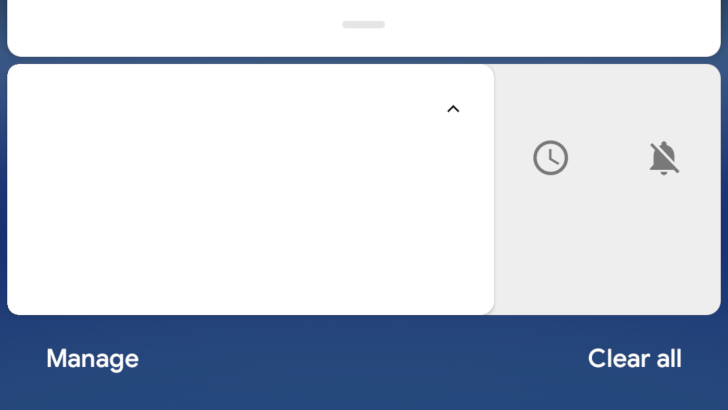 This is currently activated by partially swiping a notification to the left or right, but in Android Q, the snooze function is taking over the swipe left gesture. 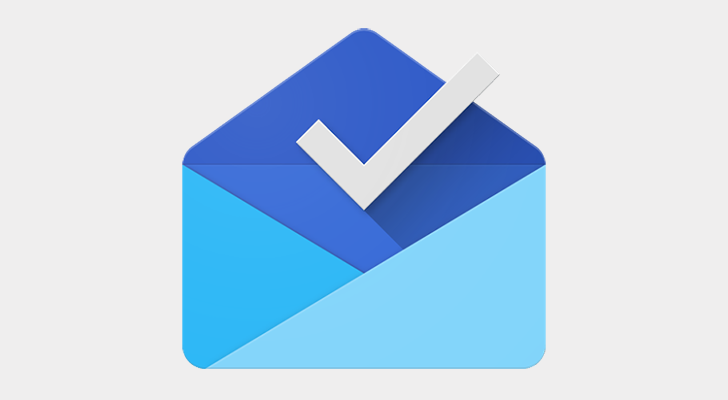 Inbox is losing the ability to remind users of emails at specified locations (and unspecified times). According to a Google Product Forums thread, the "pick place" and "someday" snooze options are being retired. 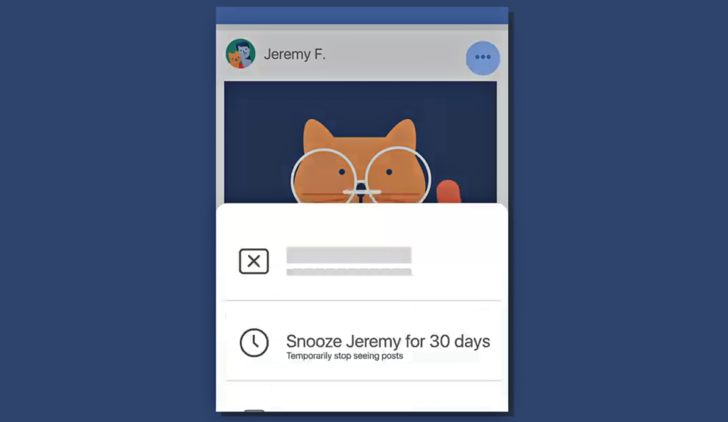 Notifications on Android became a lot more powerful last year when Oreo added the ability to snooze them. You can set them to reappear 15mins, 30mins, 1hr, or 2hrs later — which is incredibly useful. Before, I found myself leaving notifications lying around in my tray for hours so I wouldn't forget to action them. Snoozing lets you get them out of the way until you need them. Thanks to a new screenshot added to the private Play Store listing for Google's smart response app Reply, it looks like notifications in Android P are going to have even more control options. 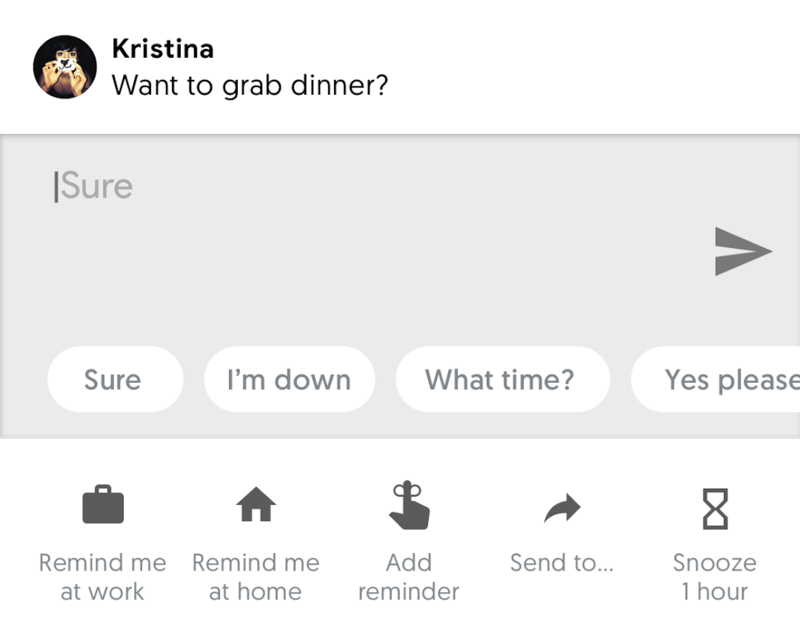 As if Gmail didn't make enough news today thanks to the launch of a new web interface and beginning to roll out the long-long-awaited snooze feature, there's also a new version of the app floating out into the world. It only appears to add one feature to mark a thread as partially unread, but a teardown also reveals that the Gmail team is going to add fully customizable swipe actions. 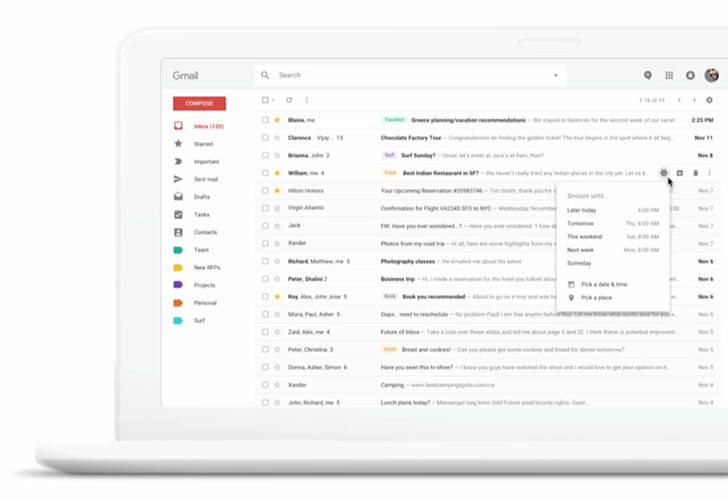 After several leaks, the updated Gmail interface and functionality is launching officially today for both consumers and enterprise G Suite users. There's a lot to unpack, so without further ado, here are all the new features you can expect to see. Do you remember the NEXT Live EMEA 2017 G Suite product roadmap talk where we discovered a small line of text telling us Calendar would get a new web interface in Q4 2017? As it turns out, there's more to that presentation, but we're so perpetually busy here that we couldn't check out the video in its entirety. If we did, we would have spotted something else, just as interesting. 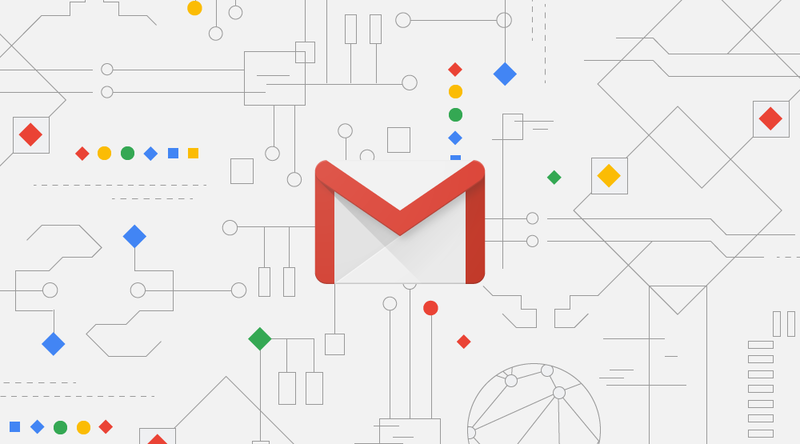 At about 31" into the video, we get introduced to several new features that the G Suite team is working on implementing in Gmail: smart reply, smart groupings, and snooze. The latest major update to Gmail is beginning to roll out to users and this one looks like it might be fairly important to Exchange users. We're still looking for additional features, but this version does bring support for task management and syncing to Exchange accounts. As usual, we've got a download link at the bottom so you don't have to wait for the apk to roll out to your devices organically. A seemingly minor update to Google Calendar began rolling out earlier today, bumping the version number from 5.5.7 to 5.5.9. There aren't any apparent changes to the interface with this release, but it does come with some interesting things under the covers. A teardown reveals a new feature for the office that will allow people to schedule conference rooms, the return of reminders that can be snoozed, and possibly a "new api" for developers to work with. Anytime there's a big version jump, there's almost always something pretty big to be found. The Google app just leapt from v5.14 to v6.0, but those big new features don't seem to be showing up quite yet. That doesn't mean there isn't still something to see. A teardown shows that there are at least a few things to look out for, either now or in the future. This version appears to be rolling out through the beta channel, so if you want to check it out without signing up to the beta, or if it hasn't rolled out to you yet, there's a download link at the bottom.